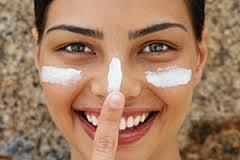 Summer may be over and many of you may be thinking that you no longer need to apply sunscreen . The sun sends it rays down onto us , regardless of whether or not it appears” sunny” , or whether it is or not it is” hot ” . 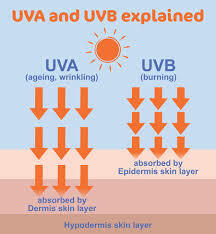 UV A rays cause DNA damage to your collagen and elastin resulting in sagging, wrinkles , while UVB rays burn and create age spots. 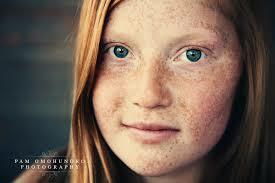 The freckles that seemed to so cute when you were young are actually sun damage, that can eventually lead to…. Every January, we all make resolutions for the New Year. Often that includes a renewed commitment to exercise. 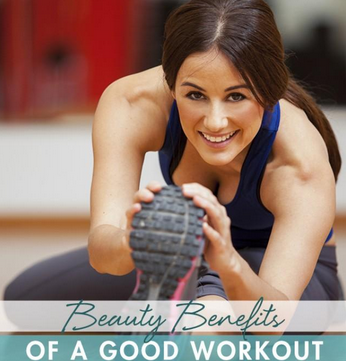 Did you know that exercise is not just good for your heart and waistline, but is also great for your skin? When you exercise, you increase blood flow to your skin which brings much needed oxygen to your skin cells and helps flush out cellular debris. 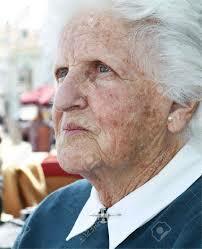 Free radicals which age your skin cells and cause DNA damage are also carried away. 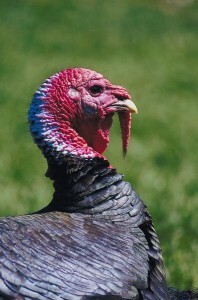 The boost in blood flow also aids in collagen production. Exercise also reduces stress and aids sleep which are both important in cellular health. Skin disorders such as eczema and acne benefit from reductions in your stress. Remember to clean your skin before after after exercise to remove blemish causing bacteria and use your sunscreen to prevent UV damage to your skin. The seasons have changed and fall has arrived. While the leaves may be falling, we do not have to let our face and necks fall too. 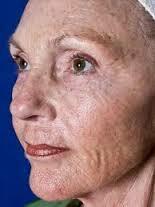 You now have non surgical, skin tightening options to combat the dreaded droop. The first skin tightening technology to arrive was Thermage, which uses radiofrequency, electrical energy to stimulate your collagen and tighten tissue. While it can work very well in many, the results have often been inconsistent and early versions very uncomfortable. There are several other updated versions of radiofrequency skin tightening available now (symphony, lux deep IR) each with slight variations to try to improve consistency and reduce discomfort. Next came Titan, which uses ultraviolet light. This also gave inconsistent results. Refirme, combined the 2 energies and seemed to offer more consistency with no down time, but it became clear that radiofrequency has its limitations. It does not heat the collagen layers to the optimal temperature to cause lift without significant discomfort. Now there is a more effective, consistent, no down time treatment, FDA approved for actually lifting your tissue, Ulthera. This uses ultrasound which can penetrate more precisely, deeply, and better heats the collagen layers to create that lift.